Click to Learn More About.. Welcome to Paul Miller Porsche! We are a premier new and used Porsche dealer located in Parsippany, NJ. Our inventory features a selection of Porsche's best-selling and most iconic models for our New Jersey customers. We are honored to assist you with your purchase and strive to provide outstanding support you can trust. Each Porsche model is crafted for performance with head-turning style to help you make a statement as your drive throughout town. Whether you're in Millburn and Morristown, stop by to get the Porsche of your dreams from Paul Miller Porsche today! Porsche is well-respected in the auto industry because of the performance and refinement included in each model. Our new Porsche inventory features numerous coupes, convertibles, sedans, and SUVs that are all designed with drivers in mind. We have new options available including the 718 Boxster, 718 Cayman, and 911 to help you burn rubber all over Bridgewater, NJ. We have the more spacious and sleek Panamera as well coming in several variations including an eco-friendly hybrid option. Drivers can also get additional space for family and friends in a new Porsche SUV including the Cayenne and Macan. Macan: The new Porsche Macan comes with upgraded engine options and more versatility than before. There are a variety of engine configurations ranging from a new 252-horsepower 2.0-liter turbocharged inline-four-cylinder to a 440-horsepower 3.6-liter twin-turbocharged six-cylinder cranking out 406 pound-feet of torque. This luxurious crossover also comes with numerous available features such as tri-zone climate control, navigation, a panoramic sunroof, a premium Bose audio system, power-folding side mirrors, and Porsche Connect Plus with an onboard Wi-Fi hotspot. Cayenne: Porsche's best-selling SUV returns with the power and sophistication Wayne, NJ drivers deserve. The Cayenne has seating for seven passengers and ample innovations to keep your family comfortable and entertained. Under the hood, there is a standard 300-horsepower 3.6-liter six-cylinder engine paired an eight-speed automatic gearbox sending power to all four wheels. There are five additional engine options ranging all the way to a 570-horsepower 4.8-liter twin-turbocharged eight-cylinder engine putting out 553 pound-feet of torque. Drivers will also get available innovations including a premium 16-speaker audio system, a power liftgate, rain-sensing wipers, and six airbags. Panamera: If you're in the market for a sleek four-door to turn heads as you drive throughout Morristown. Get all the power you need thanks to a standard 330-horsepower 3.0-liter turbocharged six-cylinder engine and a PDK eight-speed automatic transmission sending power to the rear wheels. With over 15 Panamera trim levels available, you have many options to get the best model for your needs. Available features include heated front and rear seats, dual-zone climate control, adaptive cruise control, leather seats, and a heated steering wheel. Get outstanding luxury while saving money when you shop the used inventory here at Paul Miller Porsche. We have a variety of premium vehicles in stock at incredible prices. Our used cars in Parsippany feature Porsche models, and ones from other brands such as Mercedes-Benz, BMW, Jaguar, Lexus, and Audi. There are more economical options as well from brands like Toyota, Chevrolet, Nissan, Ford, Honda, Jeep, Mazda, and Hyundai. You can also get impressive benefits while saving thousands when you purchase a certified pre-owned Porsche. Our used and certified pre-owned selections changes often, so make sure you check out our available models online before your visit. Our on-site finance center is available to help get our Bridgewater customers approved and on the road today. We have many exclusive Porsche financing options to help make sure your next car-buying experience a breeze. Whether you're wanting to purchase or lease, we have incredible offers to help keep you within your budget. When it is time to have your Porsche serviced or repaired, stop by and let our certified technicians assist you today. 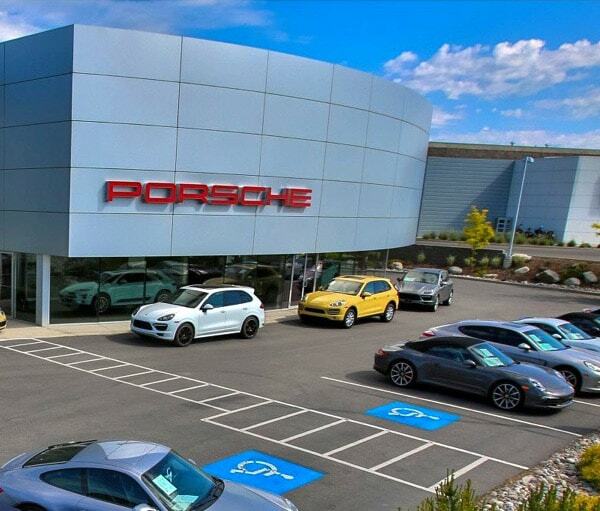 We have a state-of-the-art service center to help make sure your Porsche is healthy and road-ready for years to come. You can trust that we only used OEM Porsche parts and accessories during repairs. Our parts department is also available for customers looking to make at-home repairs or modifications as well.